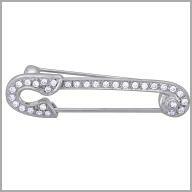 14kt white gold and 0.32 ct of diamonds pin. Sleek luxury. 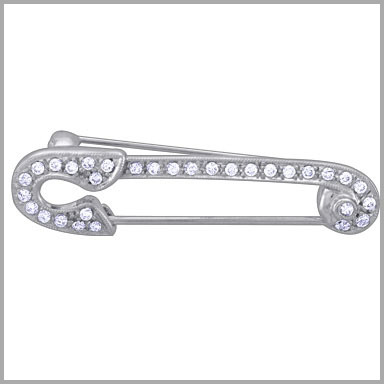 Adorn yourself in timeless elegance with this beautiful pin. Designed from engraved 14K white gold, it features 31 round full cut diamonds in prongs settings This look measures 1-1/2"L x 5/16"W and has a double lock backing for versatility. The total diamonds weight is 0.32ct approximate. The diamonds have a color of G-H and SI in clarity.